Accept all major credit cards and EMV chip cards as well as NFC technology using a Clover point of sale system. First Data has created a payment processing terminal with amazing features and elegant design. Clover POS solutions operate on cloud based software so you can access your business analytics from any internet connected device. 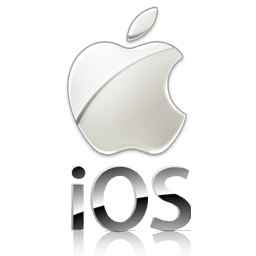 Extend your business offerings by downloading 3rd party software applications using the Clover App Marketplace. 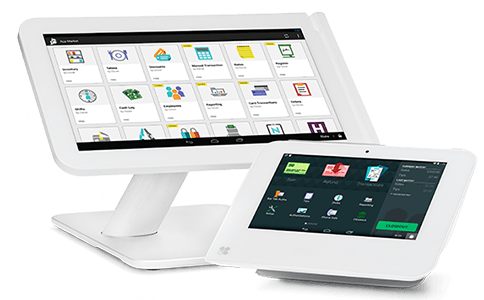 The Clover Station point of sale equipment by First Data is a robust software solution built on the Android operating system. This payment processing machine is a fast secure terminal with each swipe tap or dip when you accept credit cards and EMV chip cards at your business. 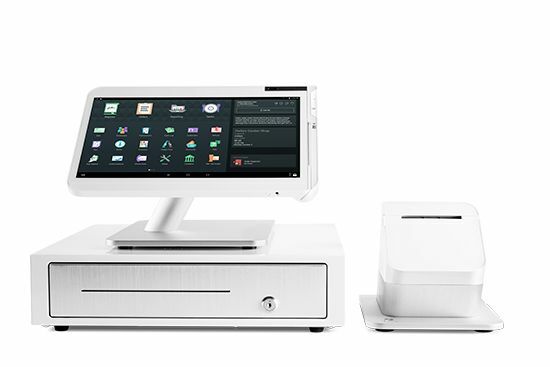 The Clover Station has a 14" touchscreen POS display and comes with a thermal receipt printer that has integrated NFC technology to accept smart phone digital wallet payments like Apple Pay and Android Pay. The swivel screen captures signatures and can email or text receipts to customers. 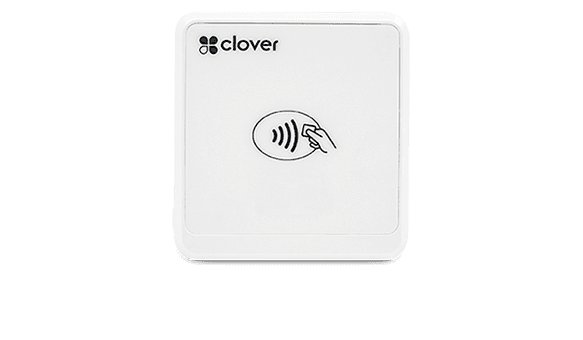 This Clover device has a Biometric identity scanner for employees to login using their fingerprint. The Clover Flex credit card terminal can accept EMV chip cards and pin on screen debit transactions as well as NFC payments using Apple Pay or Google Pay. It has an integrated receipt printer and barcode scanner. 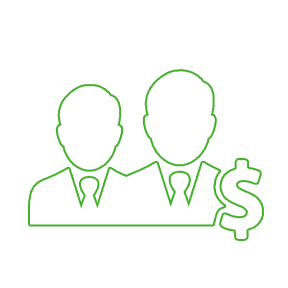 A Clover Flex payment processing machine from First Data will track your sales in real time and provide you with detailed reports. The Clover Flex business management software can help manage inventory, employees and customers. This Clover payment device does signature capture and you can email or text receipts. The Clover Flex can operate through a wireless 3G / 4G network or WiFi connection. The Clover Flex works seamlessly with other Clover hardware solutions. 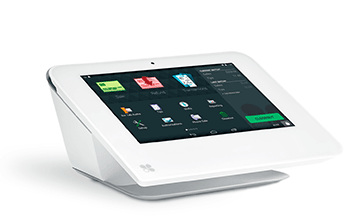 The Clover Mini has a 7" inch touch screen that can accept credit cards, pin on glass, EMV chip and NFC contactless transactions. This Clover payment processing system is small in size but comes with robust business management software. 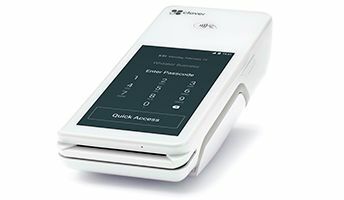 The Clover Mini point of sale terminal comes with an embedded thermal receipt printer and the ability to process sales via Ethernet, Wi-Fi and 3G / 4G network making it a portable mobile payment device. Clover Go is a bluetooth credit card terminal reader for an iPhone iPad or Android tablet / smart phone to accept payments. The Clover Go can accept EMV chip cards as well as NFC transactions. The Clover Go app features powerful business management software that will turn your smart phone or tablet into a fully functioning point of sale system.